To build awareness, this is World Thrombosis Day. A thrombosis is a blood clot that forms within a blood vessel and can be carried by either a vein or an artery. If that clot breaks free, it can lodge in an artery, travel to the brain and result in a stroke. 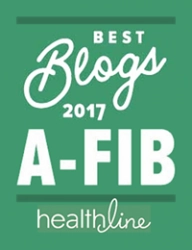 At A-Fib.com we write often about stroke risk due to Atrial Fibrillation (and the role of blood thinners to address that risk). 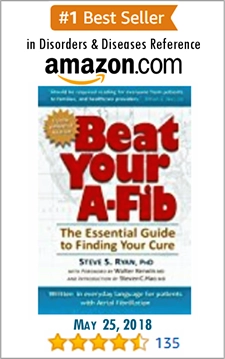 A blood clot that forms as a result of A-Fib is an example of ‘arterial thromboembolism’. 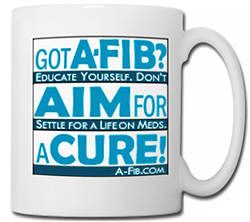 A-Fib-related stroke can be particularly dangerous. 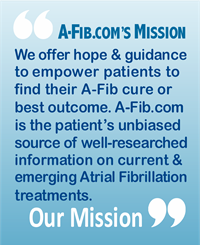 Patients are twice as likely to be bedridden and more likely to die compared to patients with non-A-Fib-related stroke. Anyone in the hospital is at major risk factor for developing a blood clot. Patients with decreased mobility or who experience blood vessel trauma due to surgery are more likely to develop blood clots. If your loved one is being admitted to the hospital, proactively discuss their risk of stroke (i.e. venous thromboembolism or VTE ) with the hospital’s medical staff. Ask them for a VTE risk assessment to determine if they have any risk factors and whether they are at an increased chance of developing blood clots while in the hospital – or in the days or weeks after a hospital visit. 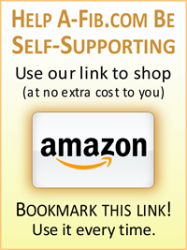 Visit the World Thrombosis Day site. 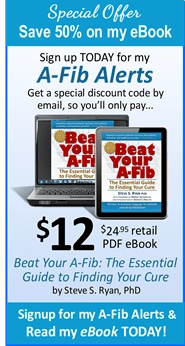 Patients with A-Fib can use the CHADS2 & CHA2DS-VASc Stroke-Risk Grading Systems to access their stroke risk.